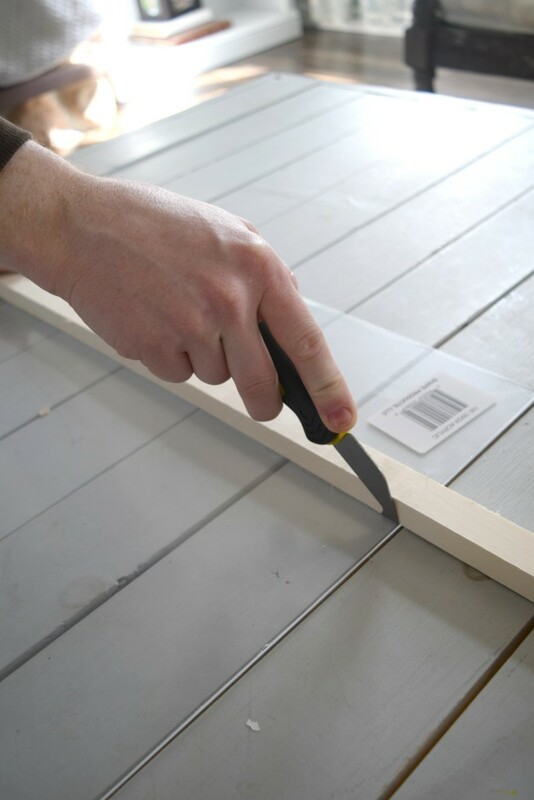 The DIY projects that are the best are the ones that you can benefit from. 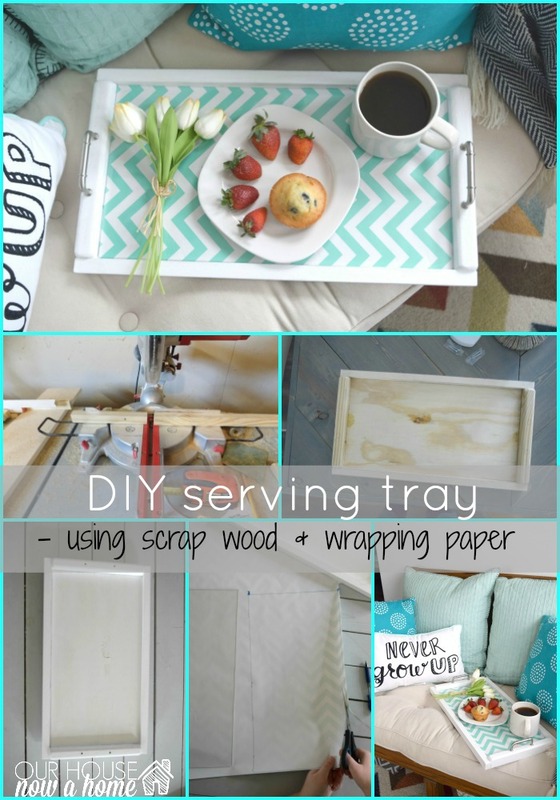 This DIY serving tray, interchangeable backing is one of those projects that I will enjoy. Either by someone giving me breakfast in bed, or by me using it as general home decor. Either way this DIY project is one of my favorites! 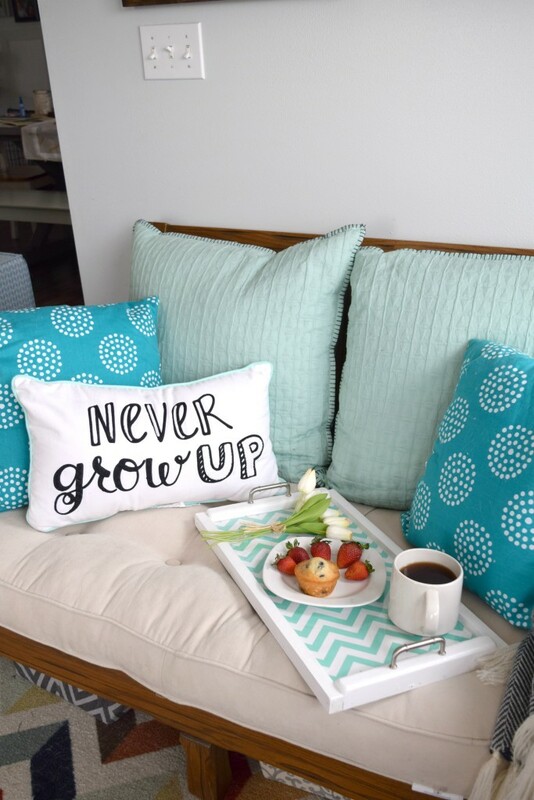 Do you ever have that dream of waking up at your leisure, making some muffins, fresh fruit and the most refreshing coffee ever? You take your yummy breakfast to sit and eat slowly while reflecting on life and listening to the birds chirp. Just me? I think how amazing it would be to start my day that way, but then I get hit with reality that if I were to wake up and have this kind of time to myself I would have to wake up while it is still dark outside, not make any coffee because it might wake the three kids slumbering away. Hey, a girl can dream though. In those dreams it always consists of the cutest tray to ever exist which my breakfast is brought to me by Ryan Gosling who is eager to spend the day staring into my eyes, just sitting there looking all Ryan Gosling-ish and wonderful. Wait what?! Anyways, I am making part of that dream come true, the cute tray for my breakfast to be on. Ryan Gosling, leisure mornings, and even warm coffee are not guaranteed. 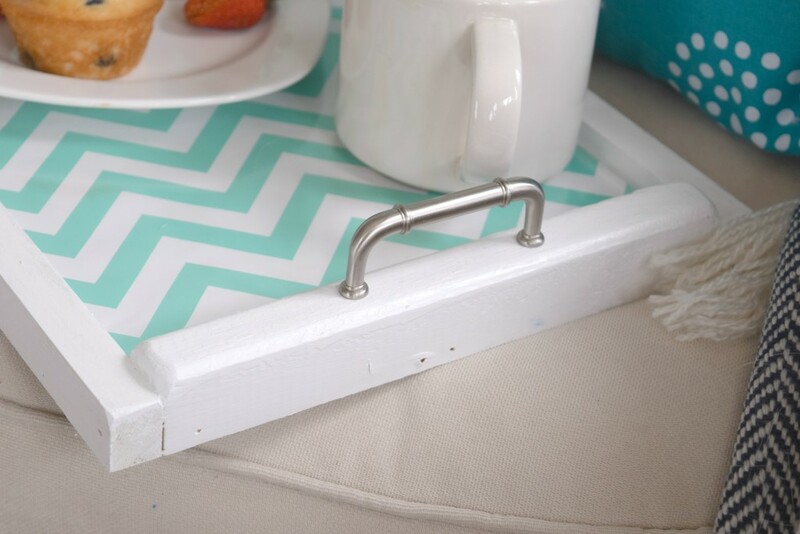 Today is not just about drooling over Ryan Gosling or dreaming of a unrealistic slow start to the mornings, it is about a DIY serving tray, interchangeable backing. 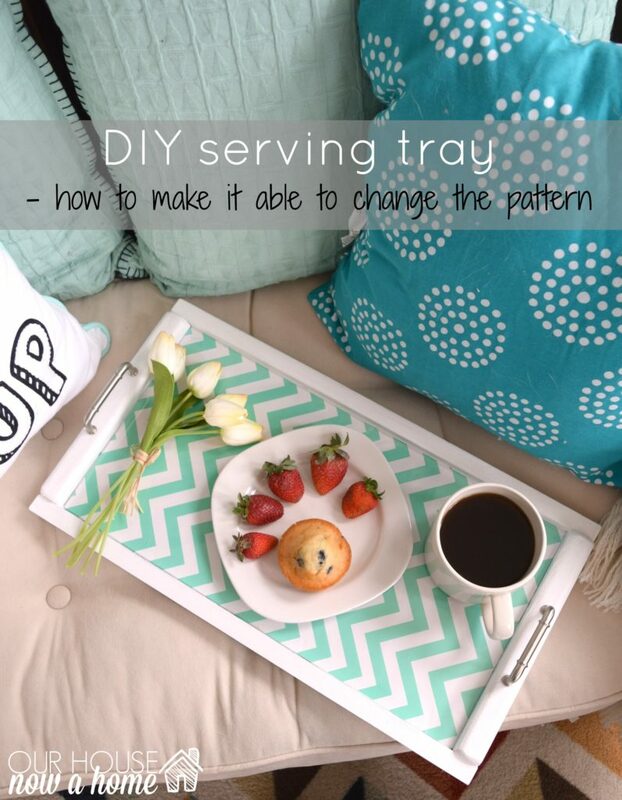 I can make sure the tray happens, that I know for sure! I made this tray initially as a display for the grape paper art I made, with the plan to make it be interchangeable. 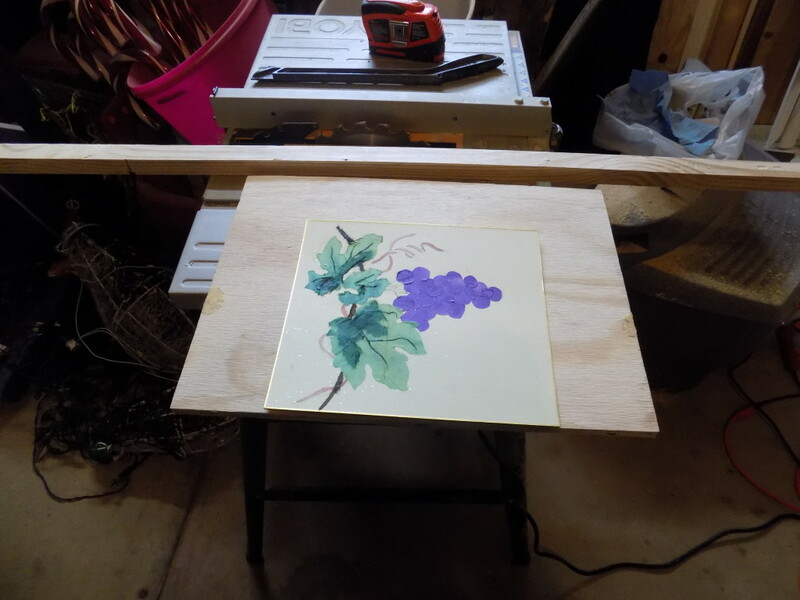 So the grapes are what I am basing my sizing on, however the end result will be me showcasing another way to add color to this tray. 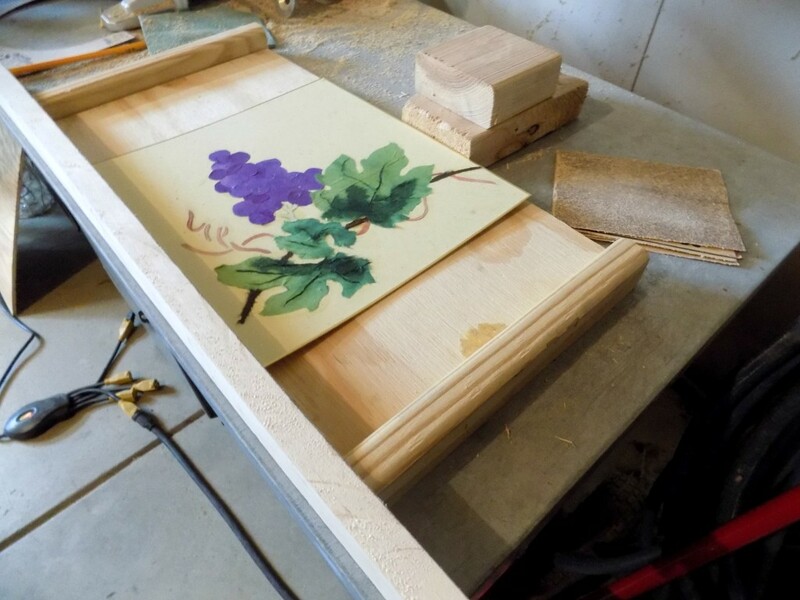 I knew I could change the sizing to anything else I put in the tray, but wanted to make sure it would fit the grape art. I used scrap wood for all of this, and the only brand new thing I purchased for this was the two handles. Other than that this is all left overs and things I literally have laying around my house. I had a scrap plywood piece that I cut down to size, and a few larger wood pieces. Some of the wood pieces were rounded off. I decided to use these pieces as the smaller sides to this tray. 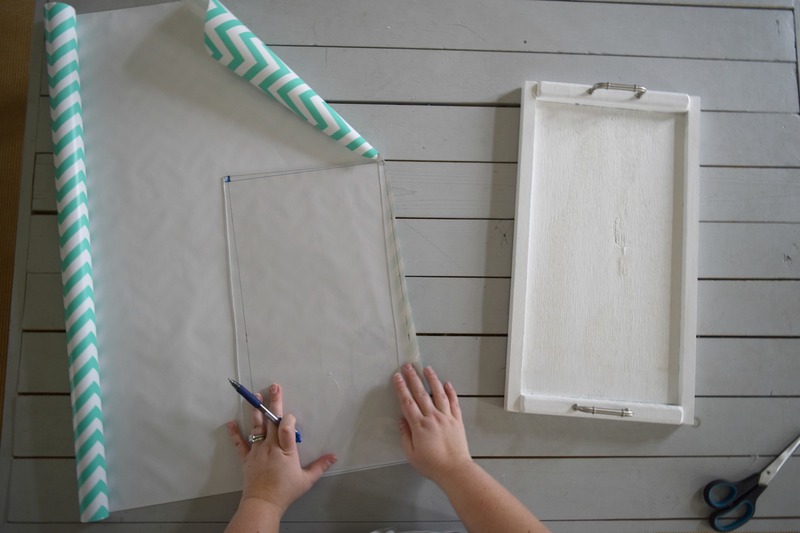 I am ending up with a rectangle shaped tray and the rounded edges on either side. 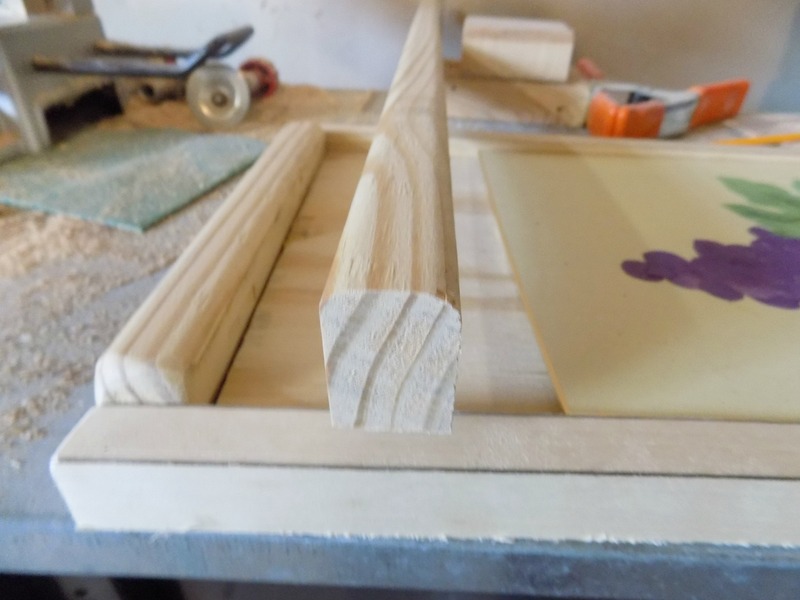 To make this work I am also going to round the sides that meet up with the smaller, longer wood pieces that are not rounded. I could have rounded those as well but I actually liked the varying heights and thought it would give a cool effect. The above picture is showing the rounded edge on the left and the non-rounded edge on the right side. 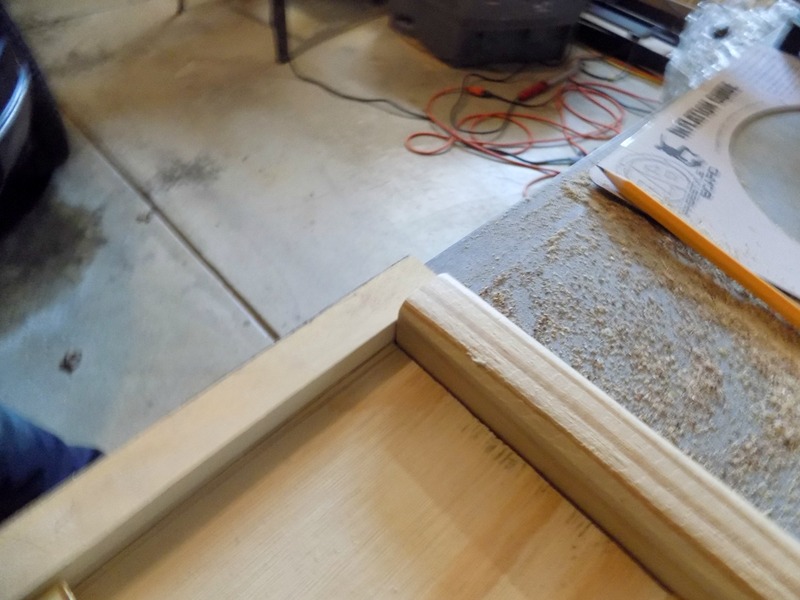 With the edges nicely rounded for the two ends, I needed to cut down the other two sides. 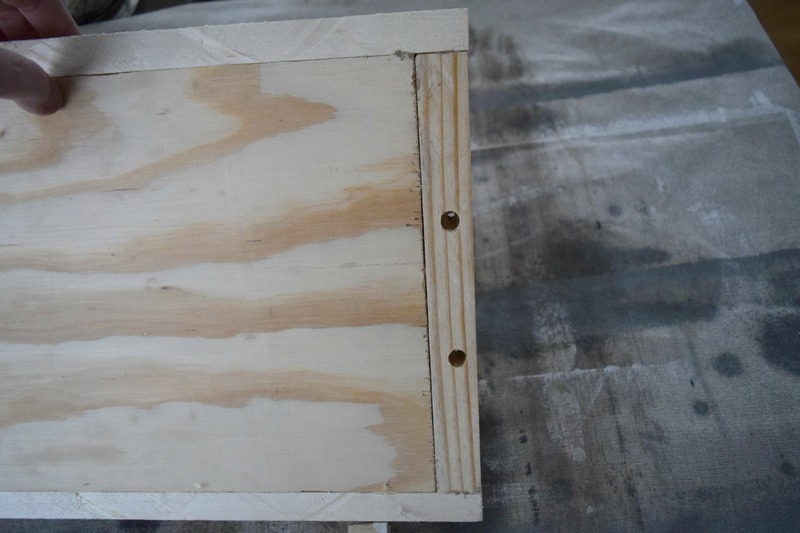 With all sides cut and measured right, I am using wood glue to put it all together. And a nail gun for good measure. Just a few small, well placed nails. 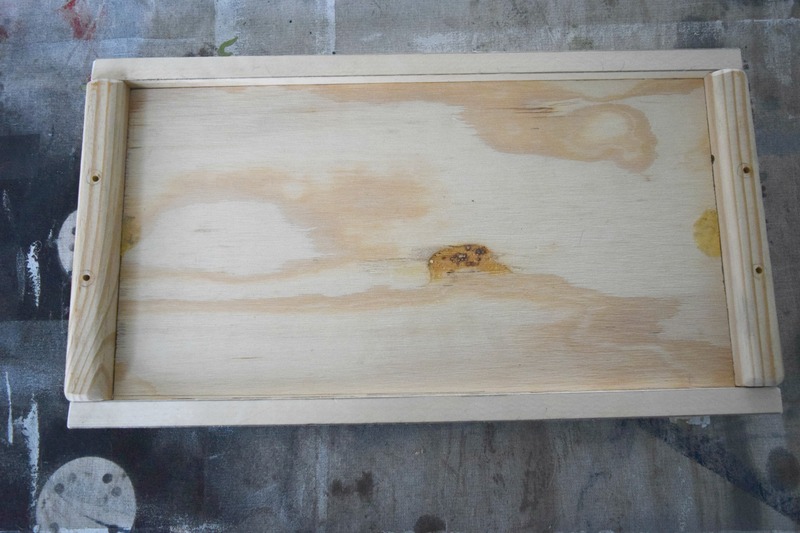 I did not want to nail the whole thing because of the thin plywood bottom. The nails could have split that wood so I kept the nails short and sweet. 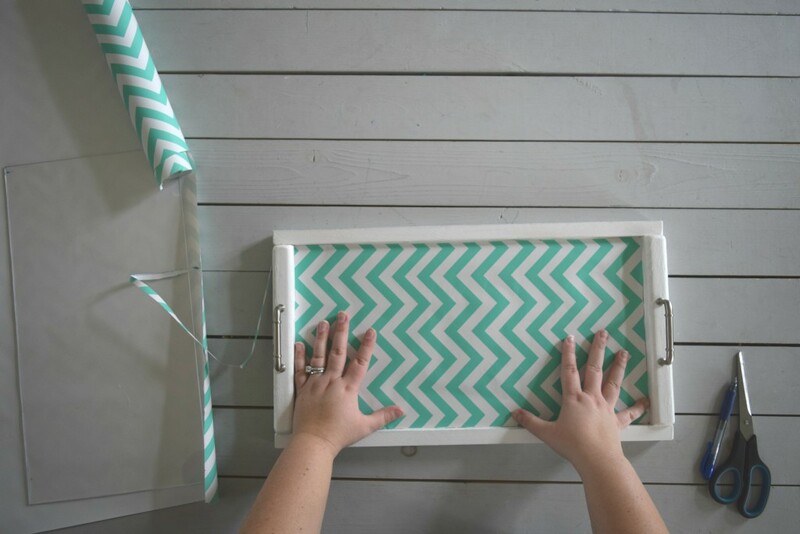 The tray looks a little tray like, but the handles will be what makes this all come together. I selected these pretty ladies as my handles. Mark where the handles will go. 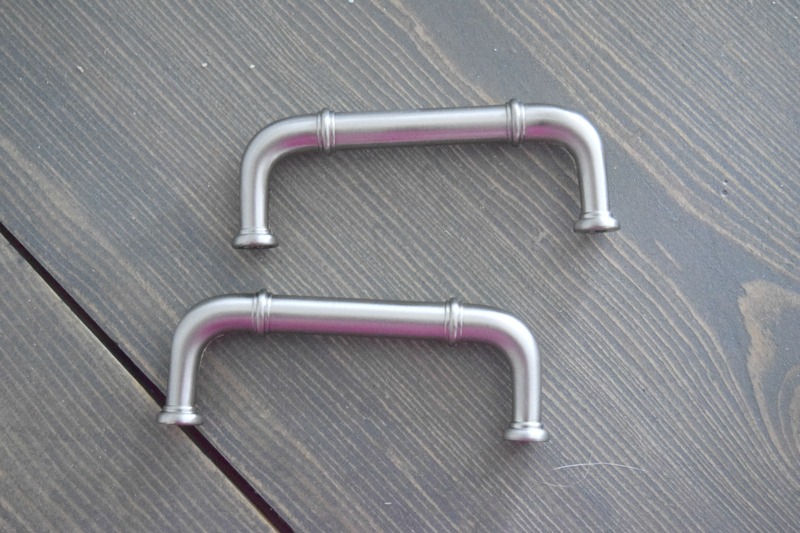 Because the handles are for a cabinet, which is generally attached by screwing in the handle through the other side of the cabinet door. That is not an option in this case, well it is but not as simply done. 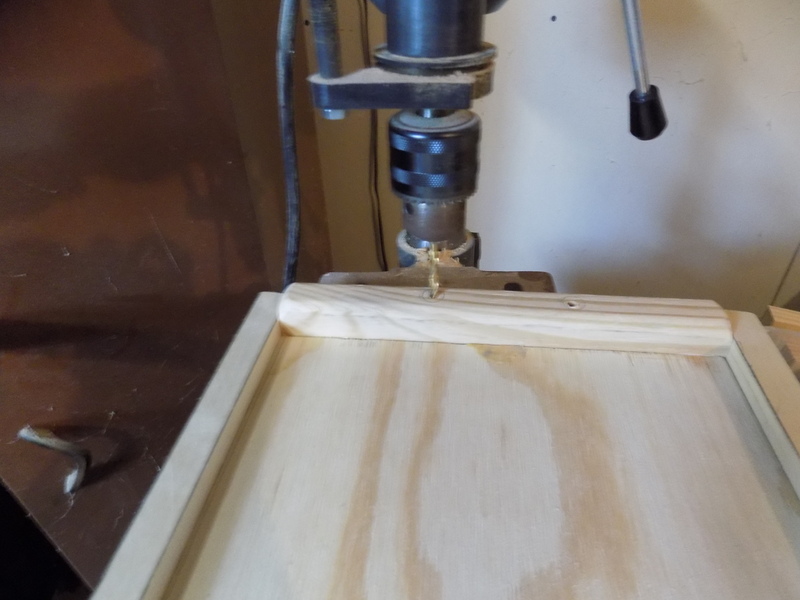 First I needed to use a drill press to drill the holes all the way through the tray. 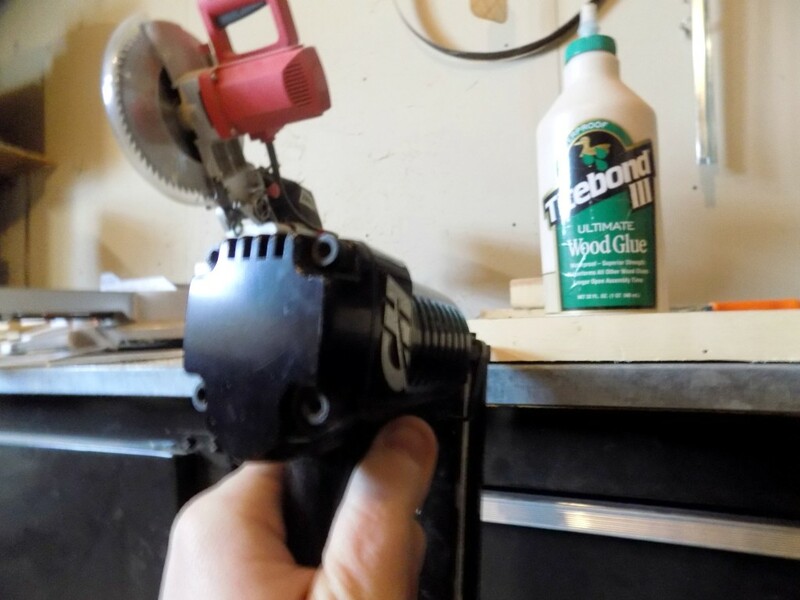 This will make it easier to attach the handle. 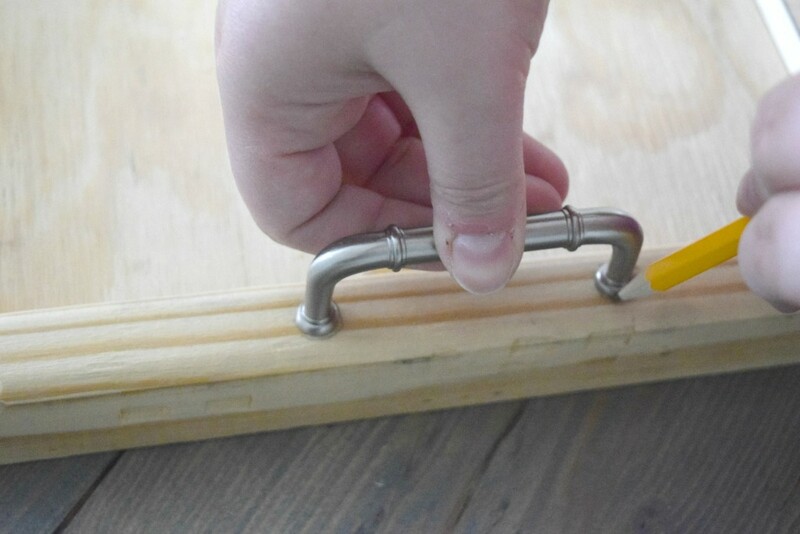 Just push the screw into the holes and wind it into the handle once the holes are made. Holes all the way through the tray. I made sure the handles would fit then screwed them in. Making sure I did not need to putty up these holes and start over again, which would have sucked but still doable. I was lucky enough to have the holes be perfectly on target. 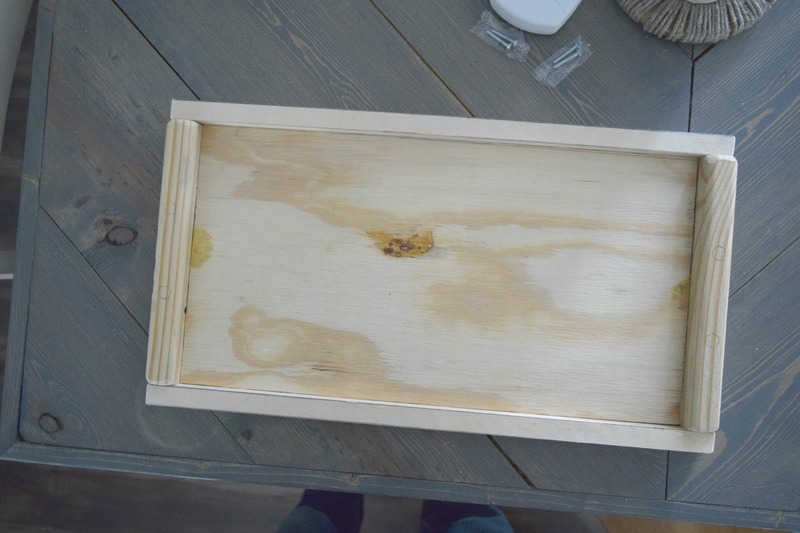 With me knowing that I was not going to have to drill anymore I was able to paint the tray. I wanted a simple white. Here is where things get exciting…. just look at Teddy & Finn, they are eager puppies to see this next step! I purchased Plexiglas from a home improvement store. I attached it to the coffee table with clamps so it would not move. 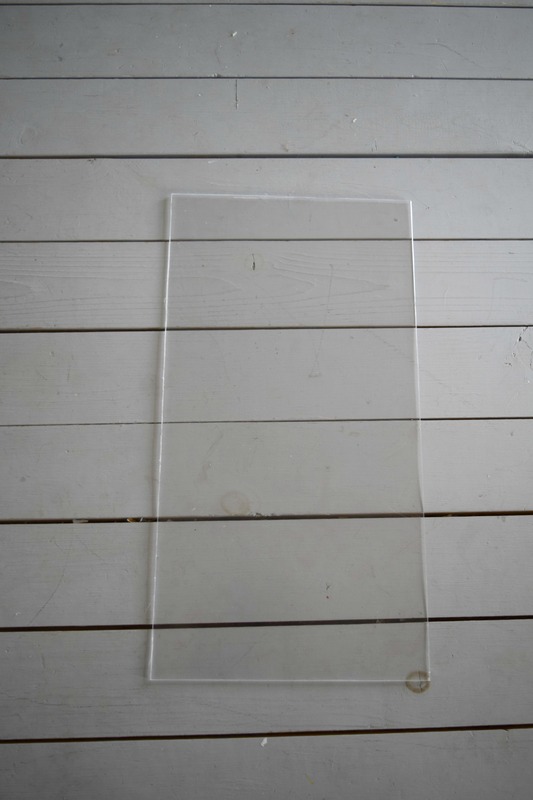 I measured and marked where the tray is size wise and began cutting with the special Plexiglas cutting tool. 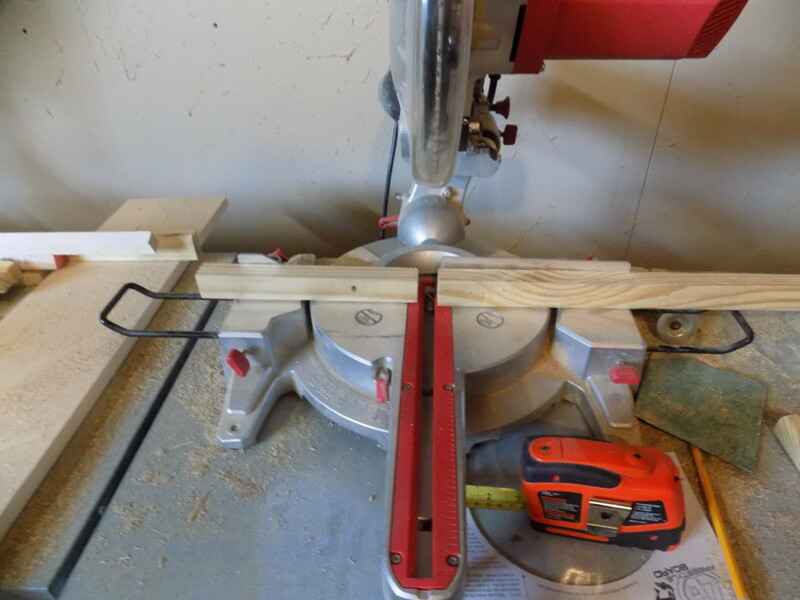 I used a larger piece of wood for guidance. Once the line was made I needed Dale, his muscles and red, curly hair. Yes the hair helped, it always helps. 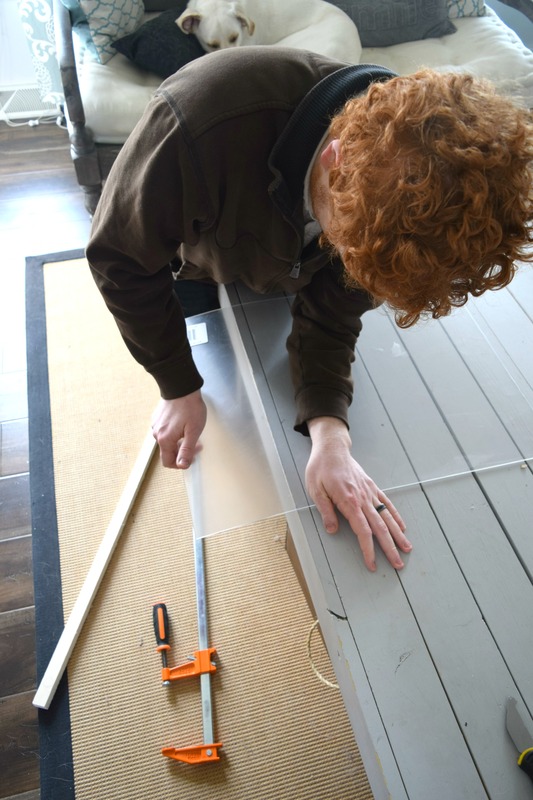 He put pressure on the line made and snapped the Plexiglas. We also made both our dogs pee themselves a little with the loud snap that came with separating this. Dale and I just held our breath worried we would screw something up. Surprisingly it all worked out, minus the scared dogs. They got over it with a treat and some cuddles. The cut Plexiglas! 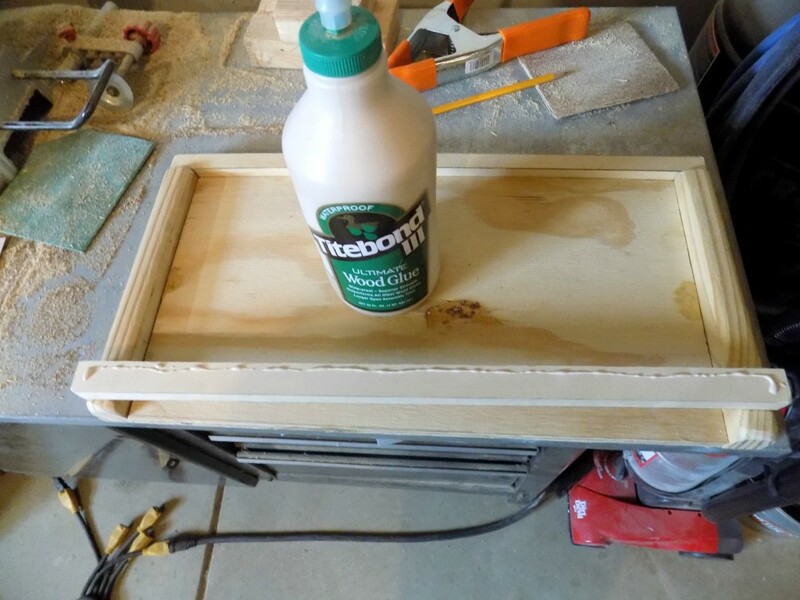 This is what will make this tray functional. I can protect whatever I have as the backing, set things on it and still have it be useful. This wrapping paper is making a repeat appearance, I love it so much! I used it just yesterday to upcycle some glass hurricane vases. 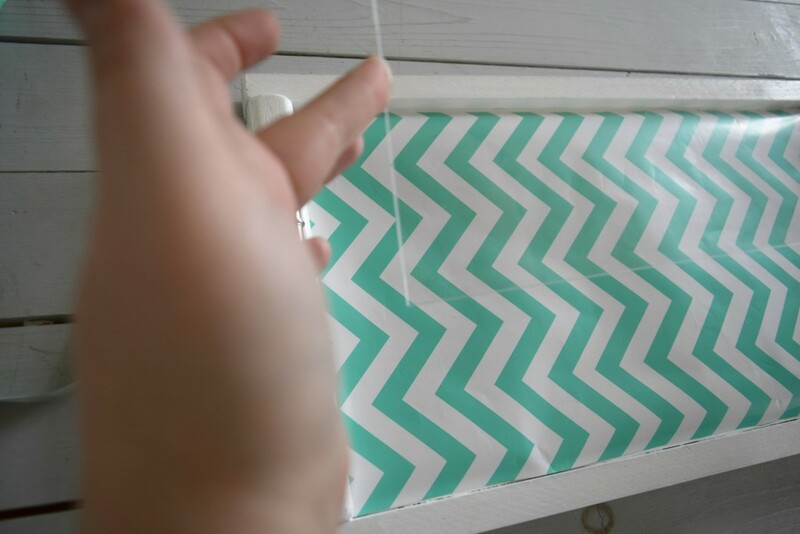 It fits wonderfully in my home with the pattern and color. I also knew I wanted a busy pattern for this tray to up the cute factor. 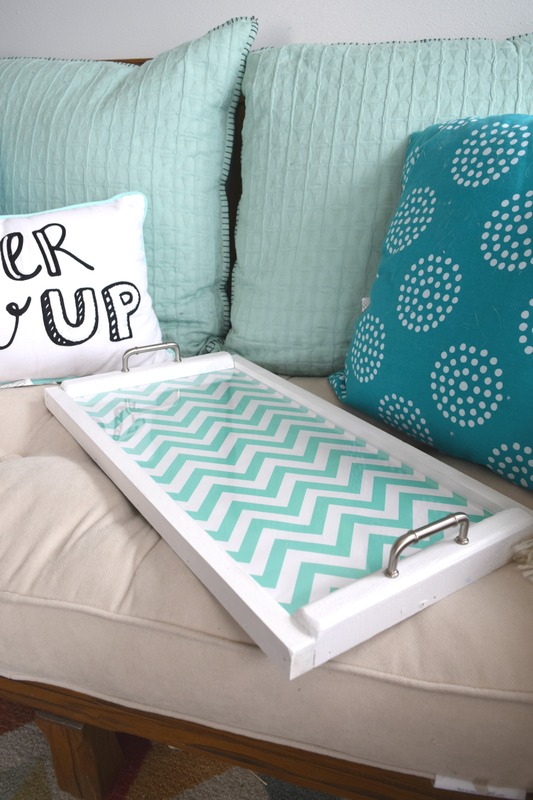 Yes, serving trays can be cute. Just ask this cutie here…. the tray, not me. It would be weird to call myself a cutie. Put it in place, and we have success! It is hard to see here, but this is the Plexiglas ready to go into it’s new home. It all fit and looked so pretty! 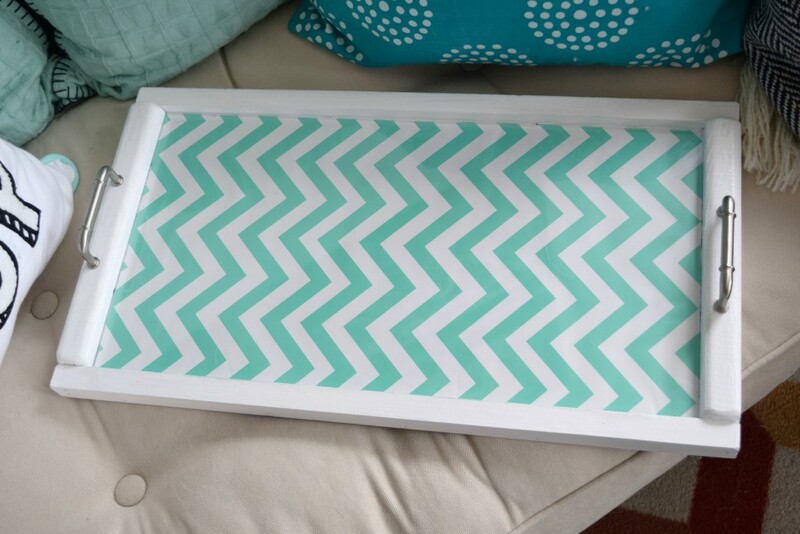 I love the simplicity of the white tray and the busy patterns of the chevron backing. I am not attaching the Plexiglas or the paper to the tray, because I want to be able to change it out. I do have it all fitting snugly enough that it does not move around. I am already itching to add something else creative to this. I can create a Happy Birthday backing for parties, the holidays I am going to change this out like crazy. It is easy to see I am excited with the possibilities, it is also easy to see I don’t get out much if this gets me amped up. 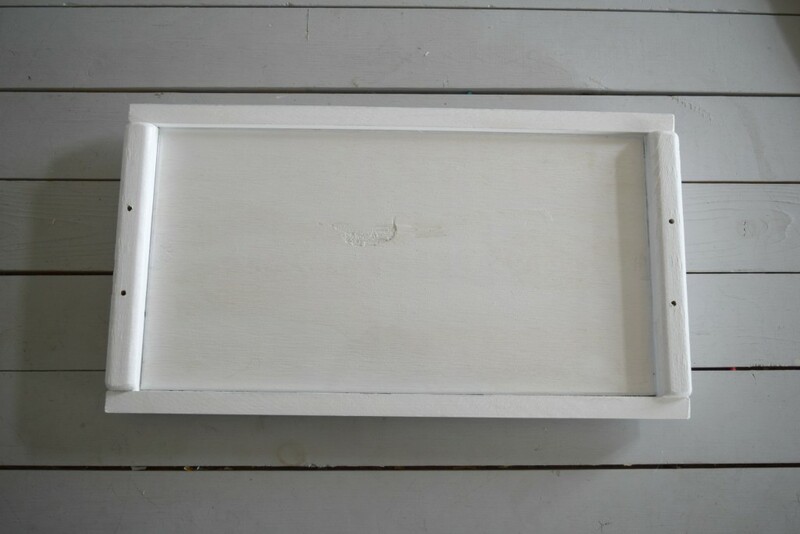 A serving tray with possibilities! Ahhh! Be still my home decor loving heart! This DIY serving tray, interchangeable backing is giving me all of the feels! See, I am ready for my leisure breakfast, or breakfast in bed served to me by my sweet husband and kids. Hey Mothers day is coming up, I now have the perfect tray for Dale to use. 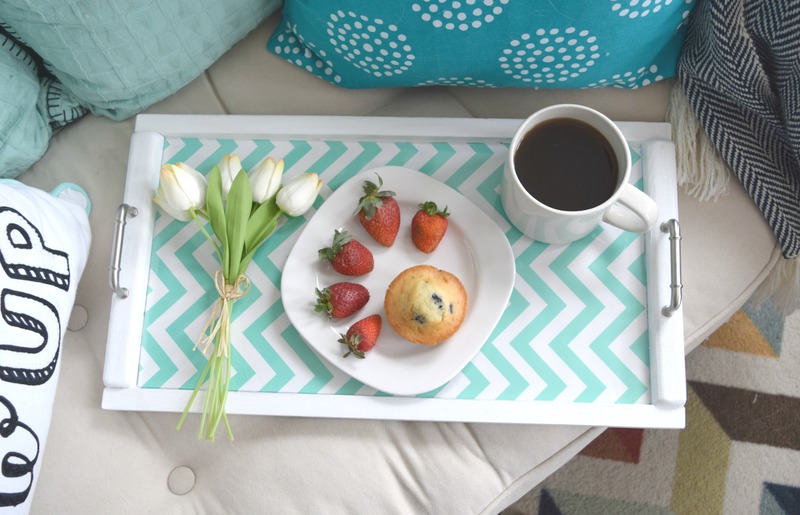 Now I just need Dale to get this big, super, duper hint for breakfast in bed with this tray on Mothers day!!! 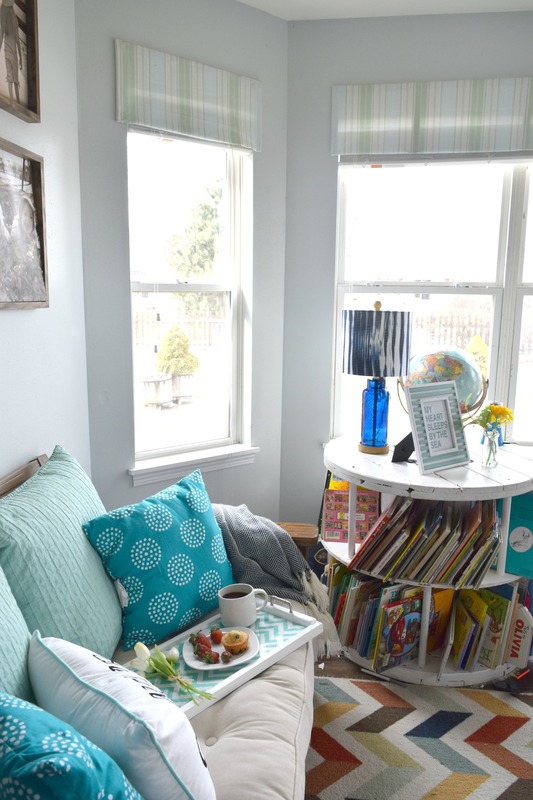 I love to sit in this study right off of the kitchen and relax when I can. It has a wall of windows and is so relaxing. I made that old spool into the kids bookshelf and you can almost always find a few of us cuddling on this bench reading a book together. It is a tiny room but gets used a ton around here. Now can you see how wonderful my whole dream is? The sun streaming in, my kids and their cute, tiny, squishy baby toes all on display while I drink my coffee. Which may gross some out, not this Mommy. 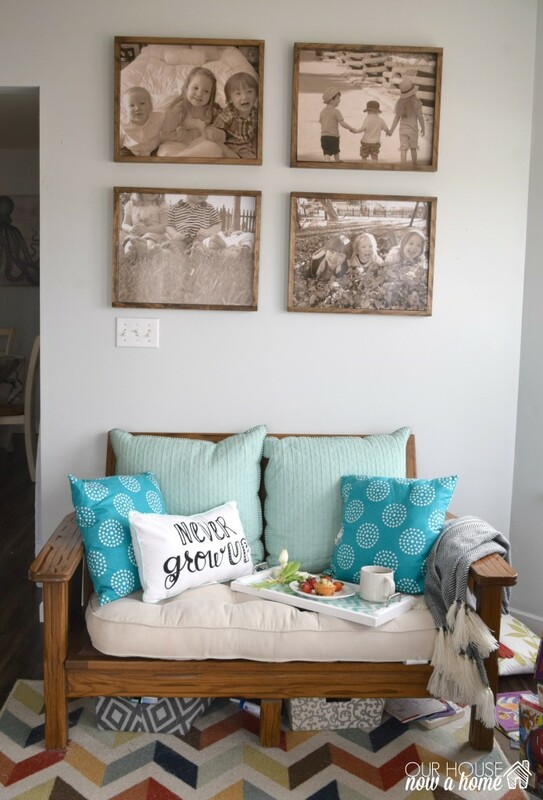 I made the wall art a few weeks ago, and just acquired this bench which I am still trying to determine what I will do with it. I asked for some opinions last week. I added the pillows just this weekend, all from Target. 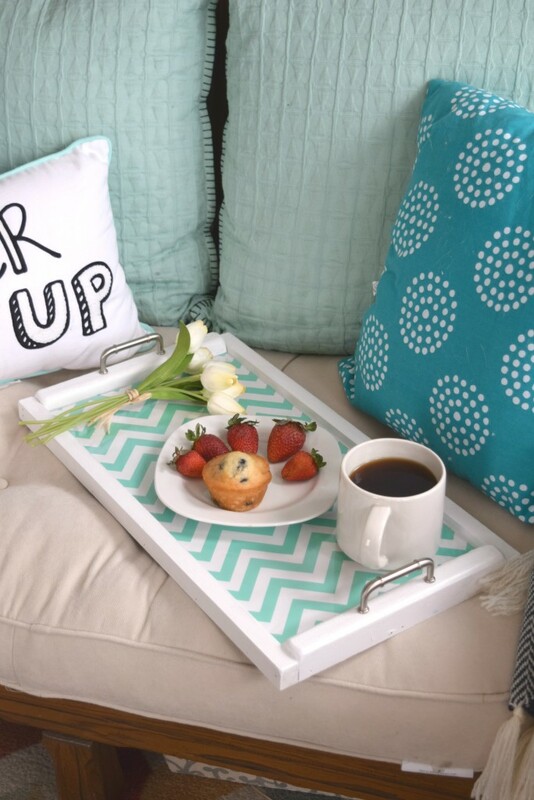 This is what I would do with a leisure morning, eating, sipping coffee… I would talk about home decor. That is it, I am making a slow morning happening! I can watch the sun come up, plan my day, drink my warm coffee in peace, I am determined to make it work. Also determined to make Ryan Gosling make an appearance. Yep, dreams can come true people! On a serious note, does anyone actually wake up before they absolutely have to? I am not a morning person and stumble out of bed, grunting phrases that are not understood for a good 15 minutes before I become un-zombie-like. I have plans of waking up, doing some yoga, taking a shower, doing my hair and make-up, making pancakes from scratch and waking my kids similar to how Cinderella wakes up with woodland creatures helping her start the day. Then… I sleep… and I like sleeping too, which means I get up when I have to otherwise the kids will be late for school. I am not a early riser. I do always try to start my kids off with a happy Mommy and a good breakfast, just no yoga, shower, or make-up going on. I hope you enjoyed my dreams for a peaceful morning! 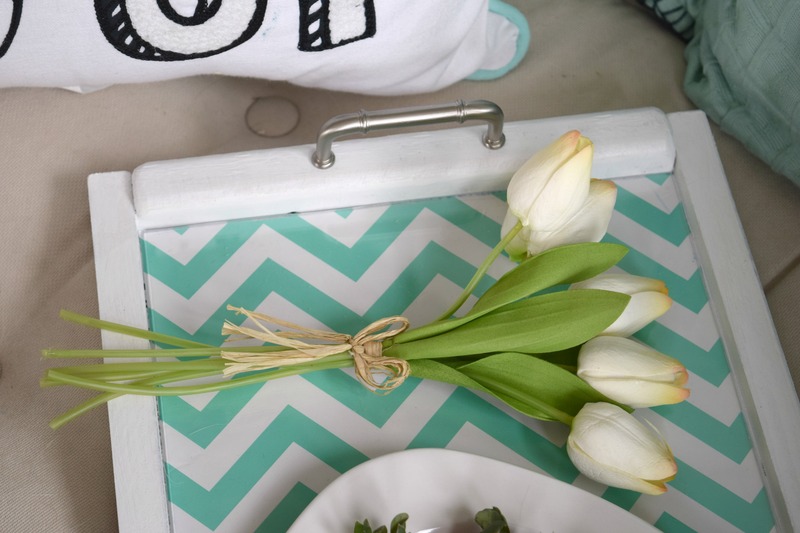 I feel better about my allergic reaction to chirper mornings because I can use this tray for lunches, brunches are a thing too. I can use it for parties, I can handle that, I may not be a morning person but I can party it-up…. I am a legit night owl. 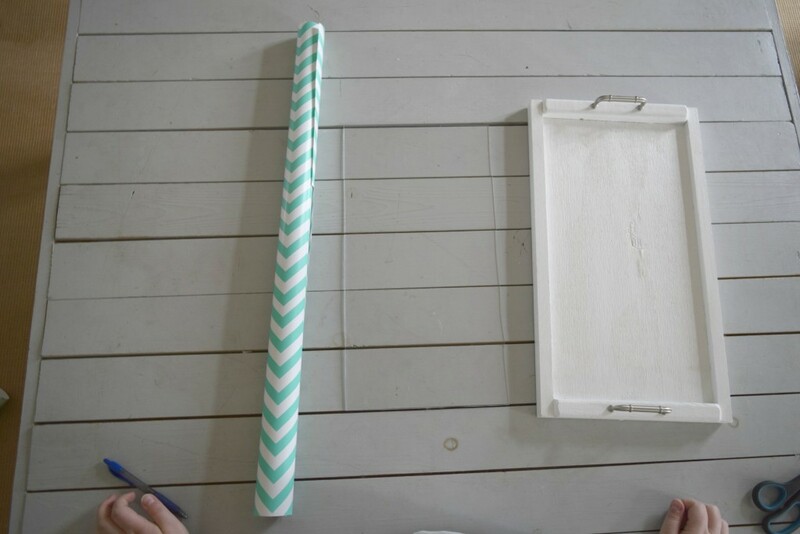 This tray is very versatile, and was so easy to make. Scrap wood and wrapping paper, I feel like the McGyver of home decor. This DIY serving tray, interchangeable backing can be made with a few supplies and be used in a ton of ways. 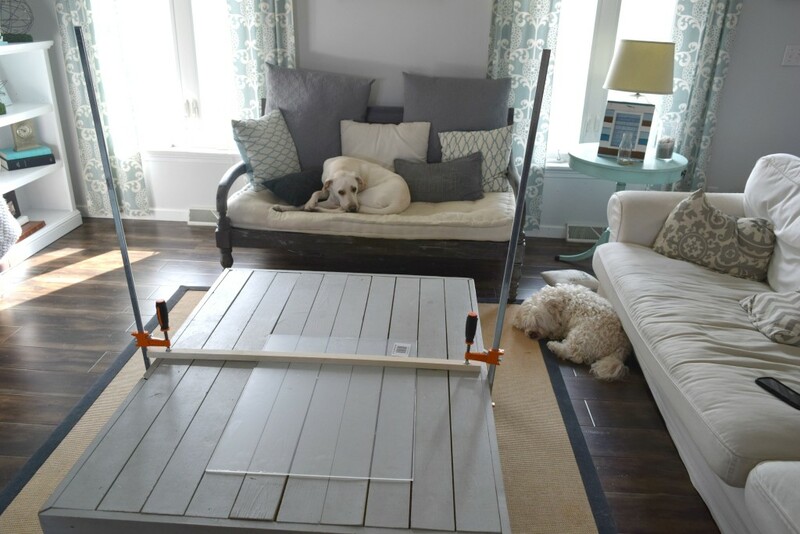 My favorite kind of home project, little effort and huge results! Do you have a dreamy start to your day, with or without Ryan Gosling? Or are you a zombie walking around grunting for at least 15 minutes? Please tell me I am not the only one, if so I need to adult a whole lot better! 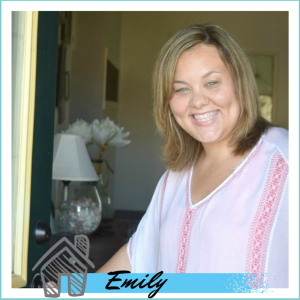 I love this tray, Emily! The crisp white is so beautiful, and I love the pop of color from the white and turquoise chevron. Pinning! Thank you so much Tiffany! I liked the color combination so much too! His muscle and red curly hair LOL Too funny!!! You guys are too cute. 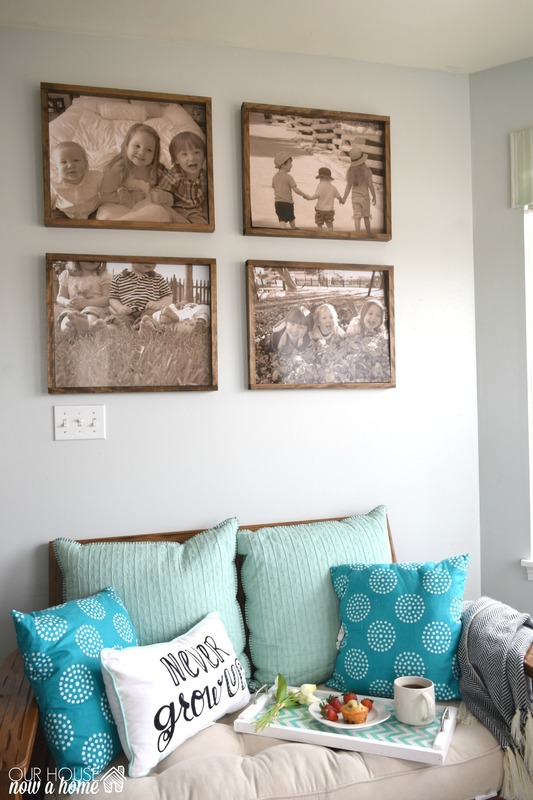 Love the idea of having an interchangeable background! I love it! I’d buy it from your Etsy shop! Hint Hint. I love the paper that you chose. I could see putting my gramma’s hankies in there, or fabric for a team’s colors. So versatile! Ha ha, I have toyed around with the idea of an Etsy shop before. Maybe I will be sharing the link and my products soon. If so I will let you know! I love this! I would have never thought to do this. I need to up my DIY game! 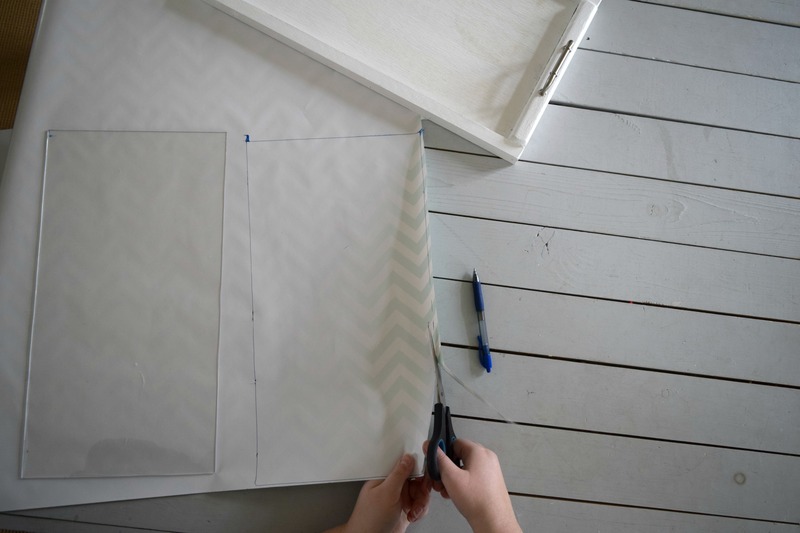 Make one, it is really easy and changing out the backing make it perfect for any occasion! It’s so cute! You are so multi talented. Love that wrapping paper and the pulls you chose. Thank you! I have a full video tutorial that I shared on how to make that grape art. You never fail to amaze me–seriously! So pretty. Oh wow, thank you so much for your sweet words! 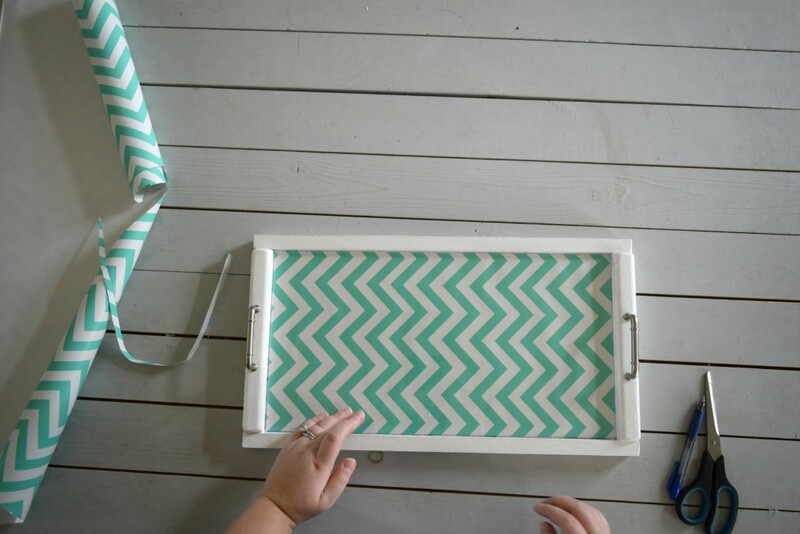 Very cute tray. Your home is lovely. Thanks for sharing. Pinned. Super cute Emily! I love that you can change out the look. Thank you! I wanted to keep my options open and am already daydreaming of what to put in the tray next.